Because even/especially when you’re sick, you gotta eat well. Salads are a super easy way to get a healthy variety of nutrients – and flavors! 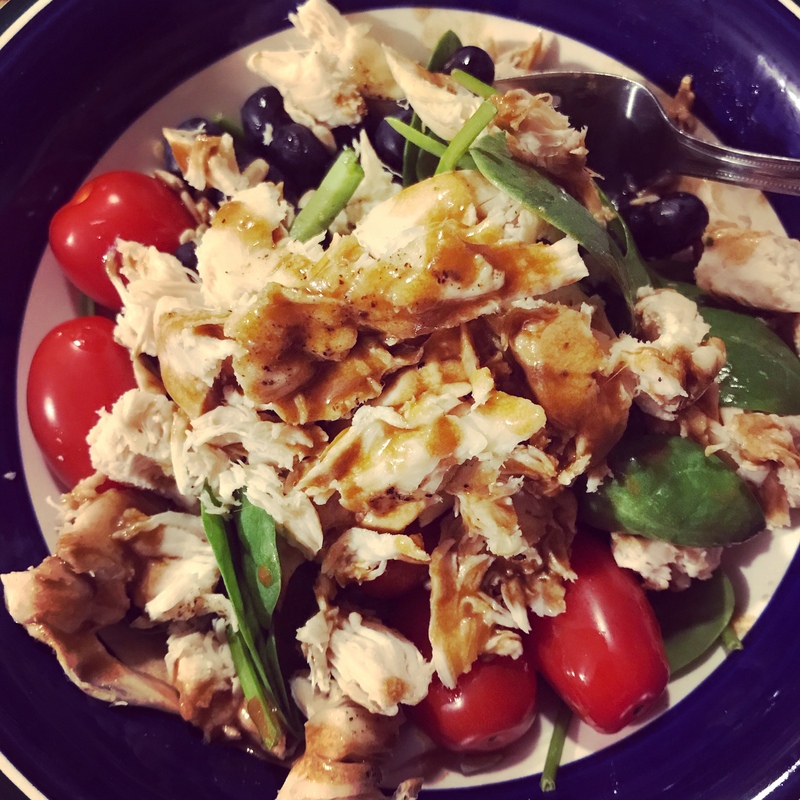 This salad was a baby spinach base with grape tomatoes, blueberries, sunflower seeds, and shredded chicken. I topped it with a drizzle of homemade vinaigrette. Delicious!